Good. 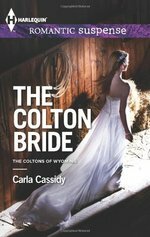 The Colton Bride (Harlequin Romantic Suspense) by Cassidy, Carla. Mass market (rack) paperback. Glued binding. 283 p. Harlequin Romantic Suspense, 1772. Fine. 037327842X Ships from Tennessee, usually the same or next day.